The Palpation Clinic provides Myotherapy in the South Geelong area. One of Jesse’s key areas of expertise is in treating cyclists. Please be sure to check them out at http://www.palpate.com.au/ or https://www.facebook.com/thepalpationclinic to take advantage of their full range of services. Proud sponsors of the junior members of the Geelong Cycling Club. 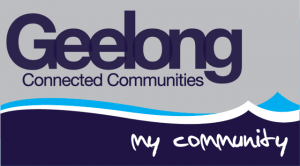 Leaders in all real estate in Geelong, whatever your property requirements. Gartland Community. Together Nothing is Impossible. As a proud partner of the Geelong Cycling Club, Winners Bars offer GCC members a 10% discount with every purchase. Enter the coupon code “GeelongCC” when prompted. Receive 10% off the purchase. Tsunami Web Studio is a boutique web agency specialising in internet and intranet web application development. They’ll take the fuss out of developing your online presence and let you get back to running your business. Contact Tsunami Web Studio for all your website needs.